Modern vector patterns that will look beautiful on textiles, brochure, interior wallpapers, business cards and designs that need a touch of class. Two different color schemes to choose from, brown tones or blue tones to suit your design needs. 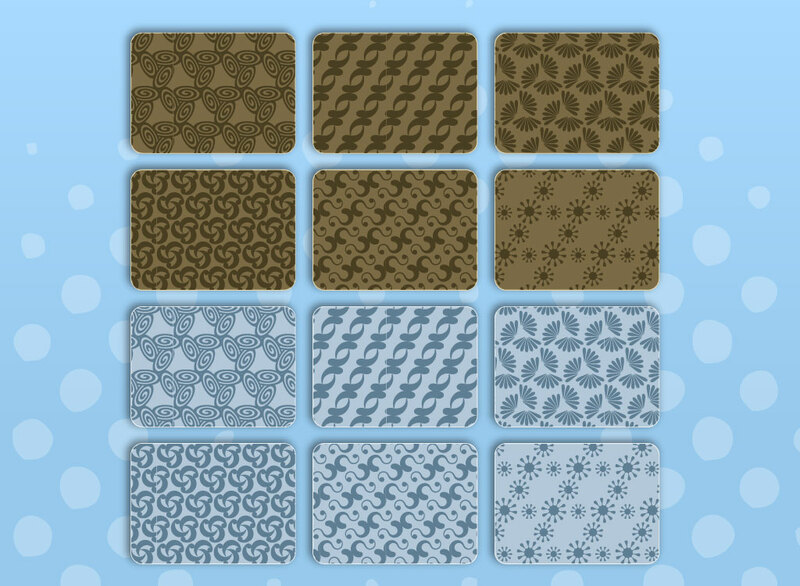 Tags: Backgrounds, Leaves, Pattern, Plants, Repeating, Seamless, Textile, Wallpaper.